it bears the classic crust and the moist, even crumb which has long since been a key to its versatility. Just have it plain, for sandwiches or lather in garlic butter for a super garlic bread. A natural baguette made with a relaxed dough, hand scored and a light flour dusting. Thaw and serve or heat for a crusty finish. made with an Italian dough. a golden crust and moist interior. Our widest and largest loaf. 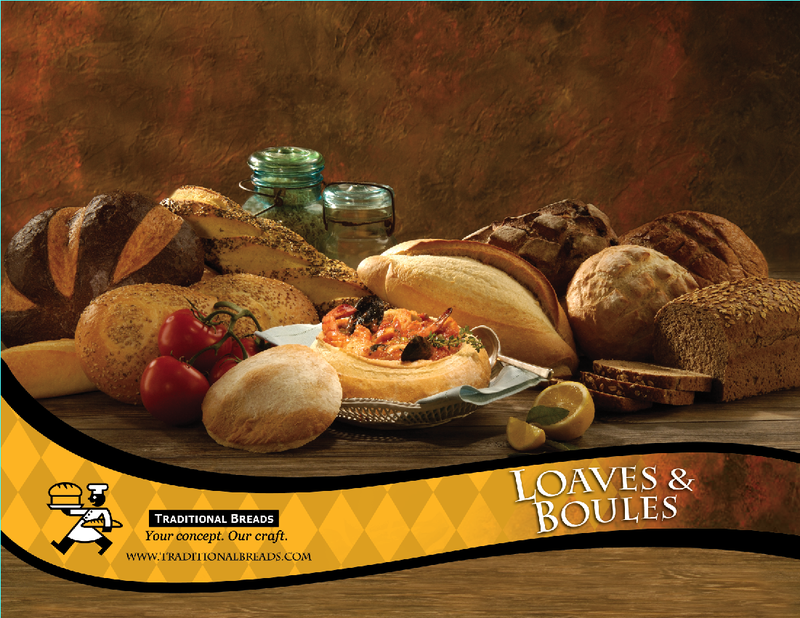 A perfect choice for garlic bread, sandwiches or table bread. An amazing presentation for soups, stews, dips, and salad. Cut-off the top, scoop out and fill with tuna salad, thick beef stew or hearty chowder. This diminutive, 4.5 oz. boule is a smaller version of our boule. Serves well as a table bread or a container for hot soup or creamy dips. The crown jewel, this bread could be used as a pull-apart roll, a mini boule or even as an upscale sandwich for burgers.